This 2001 movie is a spectacular thrill ride that will make you laugh and will make you cry, which meets Master Chief’s standard for a great movie. http://www.archive.org/download/CrayonShinChan9/AdultEmpireStrikesBack.mp3 Also, happy Valentine’s day. We’re spending ours alone. In today’s episode of AG, we discuss a show that basically everyone on the Internet hates because they are awful. We think it’s great. Sorry we didn’t review Shin Chan when we said we would. 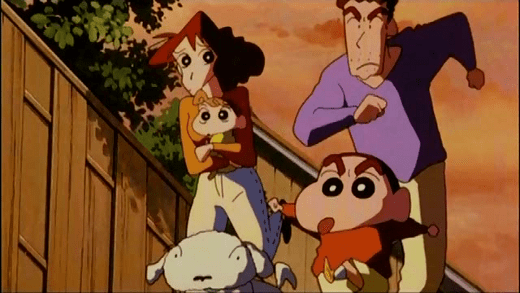 Some crazy stuff went down with the Shin Chan recording so it didn’t work out. We’ll get to Shin Chan eventually. You are currently viewing the archives for February, 2012 at Anime Graruru.